So you’re at your computer and you find that you need to pop a USB drive or cable in but, oh no! You’re all out of ports! Now you have to decide what you can live without. Never have to make such a hard choice ever again with the 35-Port USB Hub. It is literally impossible to run out of space with this. There are 35 ports. Again, THIRTY-FIVE! Does anyone honestly own that many USB connected devices or thumb drives? Maybe if you count all the devices and thumb drives you’ve gotten rid of/lost over the years you might have 35 in total. Maybe. This comes with an AC adaptor so it can also be feasibly used as a charger port for you and everyone that you know all at once. You can charge all the phones for an average high school classroom at once. Just, so many ports. 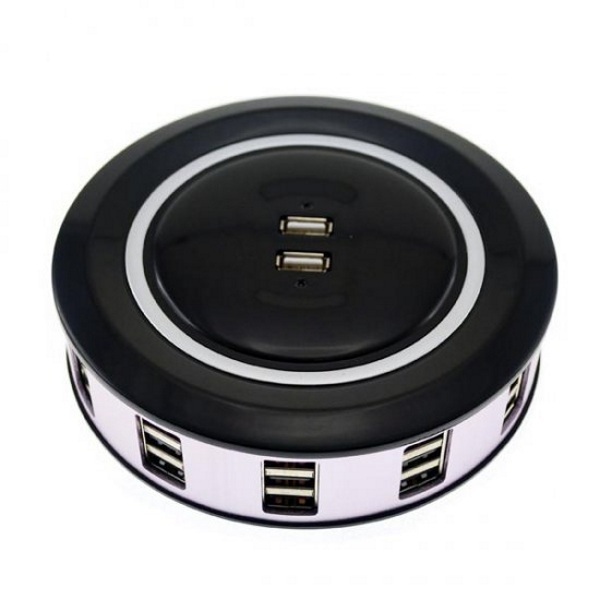 Well regardless of how many devices you have, chances are, this hub has more than enough room to accommodate them. If you find yourself looking for USB ports constantly, pick up the 35-Port USB Hub for $59.95. Well, I have more than 35 devices – and some are usb 3. This box have a nice design, but usb 2 don’t cut it. You can make fun, but there are many with a number of USB devices. If I was to buy a hub I would go for a 10 or 13 USB 3.0 (or 3.1 if you can get it). A number of PC’s have up to 10 USB ports, but not all 3.0. We have found the one! Wow!